Rep. Abigail Spanberger (VA-07) won one of the most hotly contested races in the country, as she beat arch-conservative Dave Brat in this Richmond-area seat. 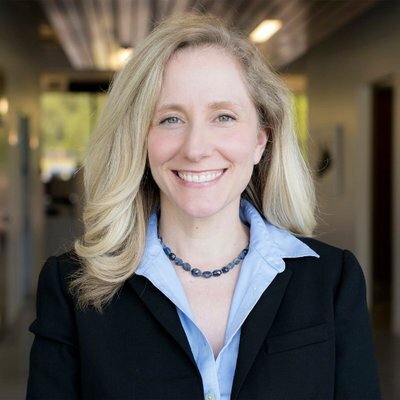 Spanberger was raised in Henrico County and began a career in public service as a federal law enforcement officer working narcotics and money laundering cases with the US Postal Inspection Service, and later as an Operations Officer with the CIA. Spanberger is a vocal leader on campaign finance reform, and rolled out a reform agenda at an event with End Citizens United in September 2018. She emphasized her No Corporate PAC and reform commitment during the campaign to reach independents in this district that both Donald Trump and Mitt Romney won by significant margins. Spanberger was a leading voice at several press events in support of H.R. 1, the For The People Act in the 116th Congress. Spanberger won by two percentage points in a race that few thought would be competitive at the beginning of the 2018 cycle. ECU spent nearly $750,000 in 2018 to help her win this seat. She will be a top target for Republicans again in 2020 in what is expected to be a very expensive and competitive race.